The Prairie Stomp is a school wide welcome back activity that serves as the major fundraiser for Prairie Elementary School. The 2018 Stomp will be on Friday, September 28th, with the rain date on October 5th. This approach to fundraising avoids selling products and directs ALL profits (less Stomp expenses) back to the school by encouraging students to get pledges and run laps to raise money for the PTO programming. Money raised through this year’s Prairie Stomp will be used to purchase classroom materials (classroom library books, book room collections, flexible seating), technology devices (iPad's or Chromebook's per WCSD standards and guidelines) and for shade canopies (~$10,000) on the school playgrounds. Students are encouraged to collect either a flat donation or per lap pledge. On the event day, students run/walk a looped track on the school field for 20 minutes. The students gain an appreciation of teamwork, a sense of strong school unity, and the importance of being healthy and exercising all while having fun with their fellow classmates. The PTO provides each child with a FREE Prairie Stomp t-shirt and a healthy snack on the event day. The students also work together, as a school, to achieve school wide fundraising goals and earn prizes: Level 1 ($20,000): School program featuring Carl "Energizer" Olson Level 2 ($25,000): Extra Recess with Sno-Cones Level 3 ($30,000): Principal/Vice Principal on the school roof for a day In addition to the school wide fundraising goals, there are other running goals: 1. Individual: The top lap running boy(s) and girl(s) in each grade level will receive a special recognition award for their strong performance. 2. Classroom: The classroom within each grade level with the highest average lap per student will earn an extra recess equipped with a bouncy house. 3. NEW THIS YEAR, we will have a Prairie Spirit Award for the boy and girl from each grade whom our teachers and staff feel demonstrates the best effort, teamwork and attitude on the day of the Stomp. We want everyone to know that the success of this event is not possible without your support and the tremendous efforts of perseverance, determination, and will-power of each student to do their very best. We will celebrate the collective effort of every student! Thank you for supporting Prairie in such a positive way. As a sponsor, you can donate a set amount (flat donation) prior to the event. If you prefer to make a per lap donation, we ask that you wait to enter your donation until after the event. The student you are pledging will let you know after the event how many laps he/she completed so you may calculate the total amount to be donated. Donations can be made anytime beginning August 14, 2018 through October 12th, 2018. We cannot have a successful event without our amazing volunteers! You can sign up to help out on the day of the Stomp through the following link: https://www.signupgenius.com/go/30e0b45a5a62da0f94-2ndannual If you’re unable to volunteer, we still encourage you to stop by, watch and cheer on your student. Signs are welcome! The Prairie Stomp is a school wide welcome back activity that serves as the major fundraiser for Prairie Elementary School. The 2017 Stomp will be on Friday, September 29th, with the rain date on October 6th. 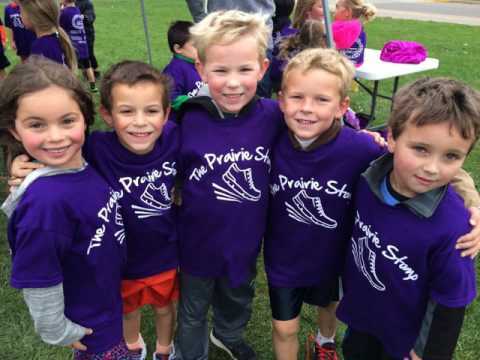 This approach to fundraising avoids selling products and directs ALL profits (less Stomp expenses) back to the school by encouraging students to get pledges and run laps to raise money for the PTO programming. Such programs include: technology purchases (Chromebooks, iPad’s, J-Touch screens, etc. 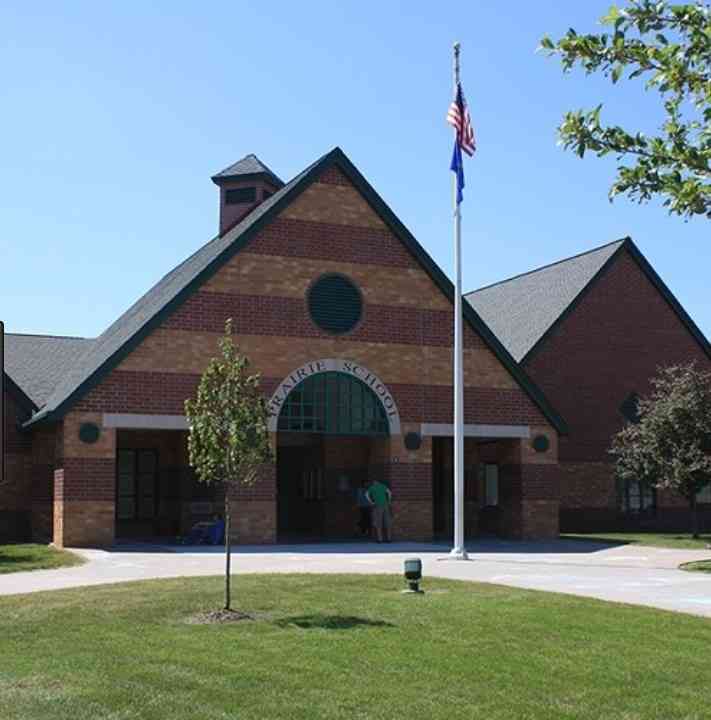 ), field trip opportunities, assemblies, birthday books and new playground equipment. Students are encouraged to collect either a flat donation or per lap pledge. On the event day, students run/walk a looped track on the school field for 20 minutes. The students gain an appreciation of teamwork, a sense of strong school unity, and the importance of being healthy and exercising all while having fun with their fellow classmates. The PTO provides each child with a FREE Prairie Stomp t-shirt and a healthy snack on the event day. The students also work together, as a school, to achieve school wide fundraising goals and earn prizes: Level 1 ($20,000): Miller and Mike Comedy Show (millerandmike.com) Level 2 ($25,000): PJ/Movie Day at Performing Arts Center at the High School Level 3 ($30,000): Principal/Associate Principal on the roof; Plus Sno-Cones In addition to the school wide fundraising goals, there are two running goals: 1. Individual:The top lap running boy(s) and girl(s) in each grade level will receive a special recognition award for their strong performance. 2. Classroom: The classroom within each grade level with the highest average lap per student will earn an extra recess equipped with a bouncy house. We want everyone to know that the success of this event is not possible without your support and the tremendous efforts of perseverance, determination, and will-power of each student to do their very best. We will celebrate the collective effort of every student! Thank you for supporting Prairie in such a positive way. As a sponsor, you can donate a set amount (flat donation) prior to the event. If you prefer to make a per lap donation, we ask that you wait to enter your donation until after the event. The student you are pledging will let you know after the event how many laps he/she completed so you may calculate the total amount to be donated. REMEMBER, Prairie PTO is a 501(3)c organization and any donation you make to the Prairie Stomp is tax-deductible. Donations can be made anytime beginning August 15, 2017 through October 13th, 2017. We cannot have a successful event without our amazing volunteers! You can sign up to help out on the day of the Stomp through the following link: http://www.signupgenius.com/go/30e0b45a5a62da0f94-2ndannual If you’re unable to volunteer, we still encourage you to stop by, watch and cheer on your student. Signs are welcome!